See New York laid out right in front of you from the top of the tallest building in the Western Hemisphere, the One World Observatory. 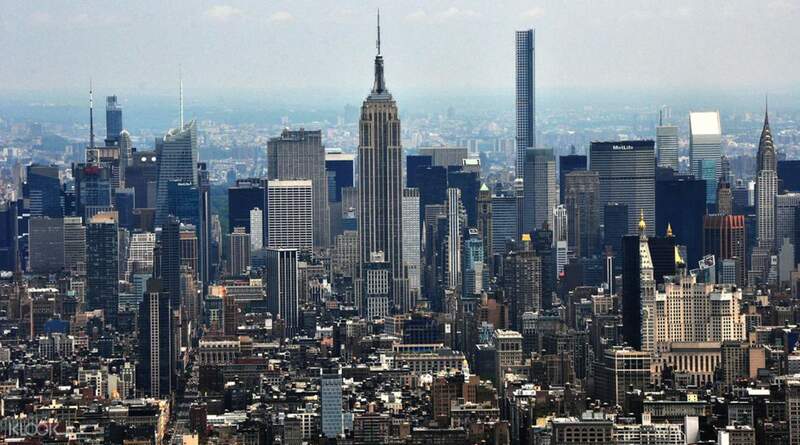 Step into the Sky Pod Elevator and soar up to the 102nd floor in less than 60 seconds and watch a time lapse of New York’s skyline change over 500 years. See the city from an entirely new angle and enjoy wonderful views of Brooklyn, New Jersey and other districts. Learn about the construction of the skyscraper and stare down a 14 foot glass disc for a thrilling view of the streets below. Go with the Skip-the-Line ticket to avoid the lines to the tower, which can be quite long during peak times. the voucher is easy to use as you need to show just the mobile voucher. The entry to One World observatory is pretty smooth. The ride to 100th floor takes less than 45 seconds and the view from top is good. 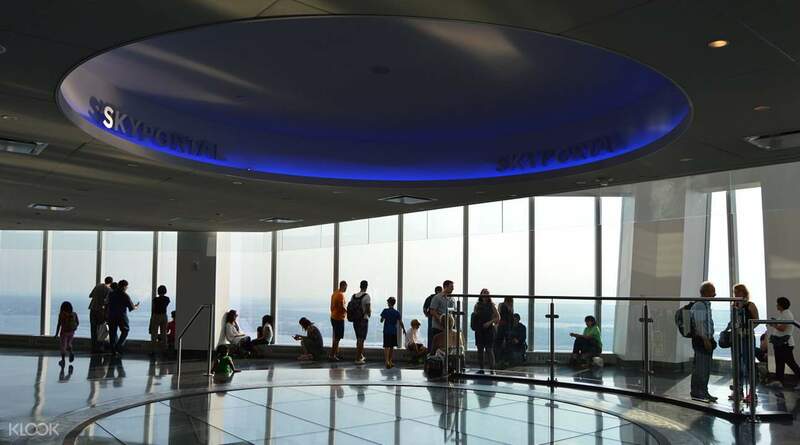 However if you have been to Burj Khalifa, you would be highly disappointed, visiting One World Observatory as the former offers much better experience. the voucher is easy to use as you need to show just the mobile voucher. The entry to One World observatory is pretty smooth. 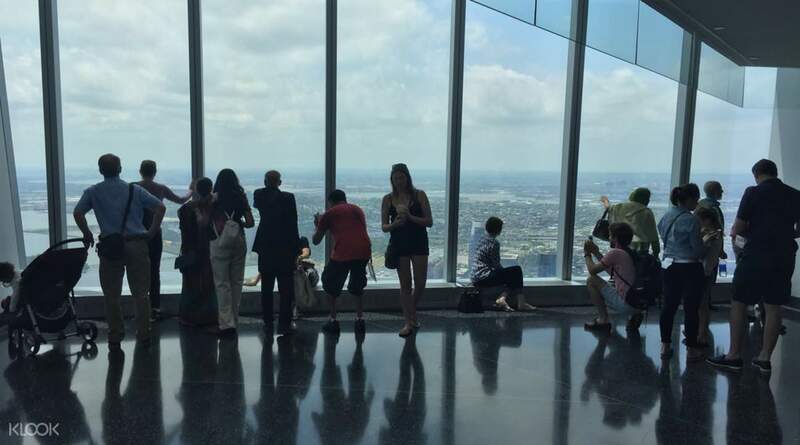 The ride to 100th floor takes less than 45 seconds and the view from top is good. 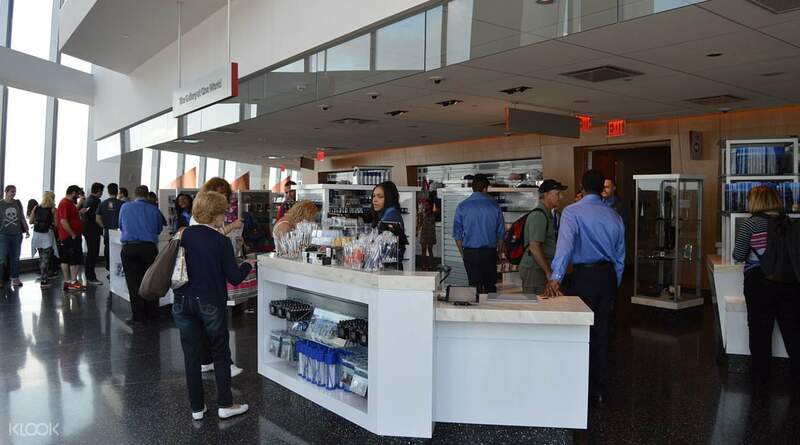 However if you have been to Burj Khalifa, you would be highly disappointed, visiting One World Observatory as the former offers much better experience. It was a great activity. We directly got the timed tickets and could enter without queueing for the tickets. There where at that day not that much people so we were after 15 minutes at the top of the observatory. Would recommend Klook for this activity anyday again. It was a great activity. We directly got the timed tickets and could enter without queueing for the tickets. There where at that day not that much people so we were after 15 minutes at the top of the observatory. Would recommend Klook for this activity anyday again. Great views during sunset. Book at time around 1h before sunset and enjoy the show. Nice way to see NYC And escape the business! Great views during sunset. Book at time around 1h before sunset and enjoy the show. Nice way to see NYC And escape the business! What a great view on a lovely day. Easy entry by using the code from the email. Airport security entry. Can spend as long as you like at the top. What a great view on a lovely day. Easy entry by using the code from the email. Airport security entry. Can spend as long as you like at the top. Went early on a Monday morning and no queue. Actually went before the booked time and we were let in. Views were great as we picked the day with no clouds. If it is not a good day (zero visibility) you can change your day. Went early on a Monday morning and no queue. Actually went before the booked time and we were let in. Views were great as we picked the day with no clouds. If it is not a good day (zero visibility) you can change your day. Be there early and combine with 9/11 memorial museum. Be there early and combine with 9/11 memorial museum.